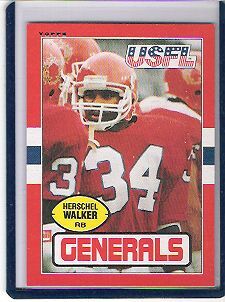 1985 Topps USFL second year card of former New Jersey Generals superstar running back Herschel Walker. About NrMt-Mt condition. ONLY ONE AVAILABLE FOR SALE.